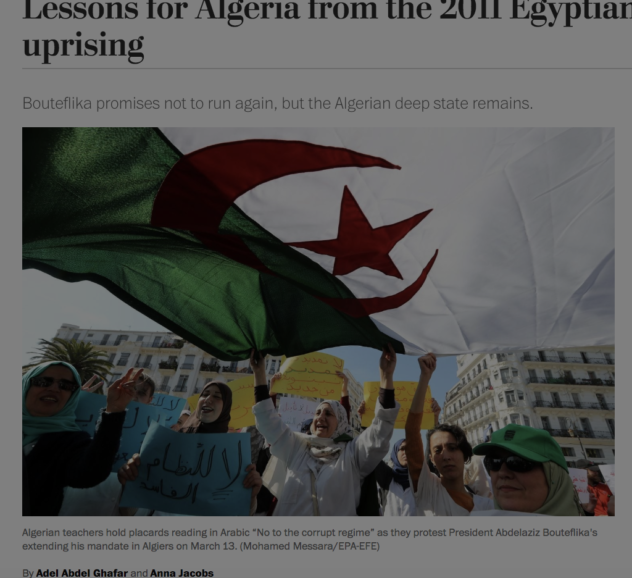 Bouteflika | Notes From America ! Abdelaziz Bouteflika, the ailing Algerian president whose candidacy has spawned weeks of protests in his tightly controlled nation, announced Monday that he would not seek a fifth term in office. The announcement was a concession to citizens who have turned out in ever-increasing numbers on the streets of Algeria’s cities to demand that Mr. Bouteflika give up plans to extend his 20-year rule. But the same statement also canceled the election that had been scheduled for April, raising questions about how long the president would remain in power.